Not difficult to spot the differences between these two scenes; Sam McCreery's junk shop on the left is now a hairdresser and Eden's Fish & Chip shop on the right is now a Chinese takeaway. 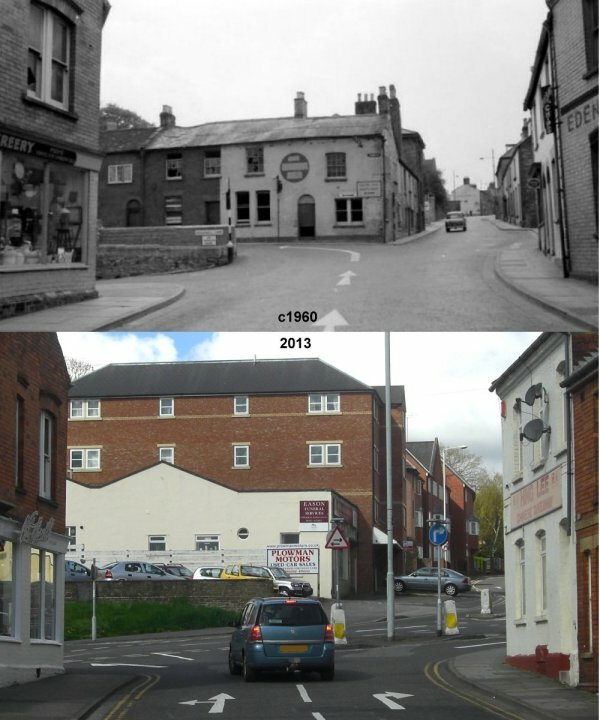 The Globe Inn was demolished soon after the top photo was taken at a time when this was the main A30 London to Exeter trunk road! Oh yes, there's now a bloody great block of flats dominating the view.